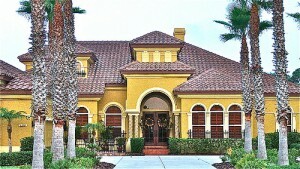 Lake Nona is a thriving master planned community located in the city of Orlando. It is located right next to Orlando International Airport. You will find apartments, homes, parks, schools, and research centers. There are tons of restaurants and shops located within the town. The best part of Lake Nona is that it is still growing, making it a great choice for buyers to settle down. Lake Nona’s central location makes it easily accessible by all other parts of the city. And if you think about it, it’s pretty accessible to the rest of the world as well, because of its proximity to Orlando International Airport. No paying for expensive cabs or car services since the airport is located right next to this all-inclusive Orlando neighborhood. A new report shows that flipping houses may be the way to go in the Orlando metropolitan area. The gross profit from the average flipped listing grew to $37,615 last year– compared to $36,518 in 2012. The report has certainly peaked the interest of many savvy real estate investors in the Southwest. The average selling price for a home in the Orlando housing market increased by 20 percent over the course of 2013. Investors that were able to purchase and re-sell listings within a sixth month window realized significant profits, based on studies conducted by the real estate research group, RealtyTrac. “Strong home price appreciation in many markets boosted profits for flippers in 2013 despite a shrinking inventory of lower-priced foreclosure homes to purchase,” explained Daren Blomquist, RealtyTrac’s VP. The average flipped home in Orlando was sold within six months for a sales price of $153,849. The housing market in Orlando saw it’s fair share of positive trends during 2013. Home values have made big strides in returning to their historical averages, but it’s not been all positive. The Orlando area also had one of the largest concentrations of underwater properties in the country. 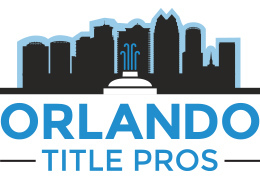 Nearly 36 percent of homes in the four counties that comprise the Orlando metro area are buried in home loans exceeding the present home value by 25 percent or more. The rate of underwater residential properties in Orlando outpaced the statewide number of 34 percent. Over the last year, the average prices for homes throughout the Orlando metro area increased by nearly 28 percent! This has certainly helped build equity for homeowners– but many of them still have a long climb to become financially stable. Frank Nothaft– Chief Economist for Freddie Mac– doesn’t expect home prices to grow at the rate they did this year. He was one of the influential speakers at the annual summit held for Florida Realtors. Price growth is expected to be more moderate. With its gorgeous year-round weather, world-famous theme park attractions, an eclectic array of restaurants and clothing boutiques, nearby beaches, and sizzling nightlife, Central Florida is one the nation's most prized residential gems. 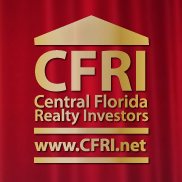 When you add award-winning grade schools and universities, booming high-tech industries, and no state income tax to the equation, investing in the Central Florida real estate seems like a no brainer. Properties for sale in the area include single family homes, apartments, condominiums, townhomes, multiple family dwellings, and much more. Currently, the real estate market favors the buyer's pocketbook. As a result, investors with long-term goals couldn’t ask for more favorable market conditions. The HUD Secretary announced Friday afternoon a temporary lift on the 90 day FHA seasoning rule. FHA will no longer require that the property be owned by the seller for 90 days! foreclosure activity is high”, according to the announcement. Here’s why this is so great…. Here is some interesting data put out by the folks at CNN Money. It’s interesting to see that homes have risen 132% since the boom started, and have only come down 40% since the peak. Something to keep an eye on, is that they predict the bottom out to occur in Q2 of 2011! The Central Florida Real Estate Market has held up pretty well compared to most of the country, I anticipate that trend to hold moving forward. It’s definitely a great time to find the right home to flip in this new year! Best of luck!! Inventory is down and bidding wars are increasing on the hot properties. I am putting in twice as many offers to get the same amount of properties as last year. Investors including myself are finding it a lot easier to move properties than the last few years. This is creating a buzz that is getting investors excited again. Just in the past couple of months I have received calls from several of my buyers that have taken the last couple of years off. New investors are calling everyday from all over the world. Today’s market is exciting to say the least. I still receive negative emails from negative people about the next wave of foreclosures. I have been hearing this for the last couple of years and inventory continues to shrink. I feel this is a result of the banks working with homeowners to keep them in their homes. 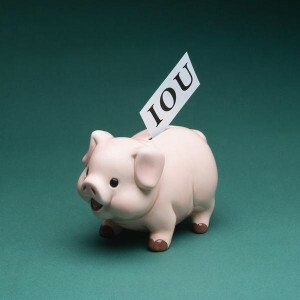 Loan modification is one way banks and homeowners have found common ground to help slow down the foreclosure process. This fear of the next big wave of foreclosures is based on the amount of newly filed Lis Pendens and the ability of homeowners to withstand their adjustable mortgages. A portion of these pre foreclosures get resolved, therefore, the foreclosure predictions are less then predicted. There are new foreclosures coming as there always will be. The big difference now is we have confident buyers and declining inventory. A few years ago we had a long way to go before hitting bottom. Today we have homes selling for the land value. It simply can’t go any lower! (July 10, 2009 – Orlando, FL) A steady increase in the pace of Orlando home sales activity is creating conditions that are within striking distance of a balanced market. Inventory level reflects an 8.37-month supply at the current pace of sales; a market with six months of supply is considered by housing economists to be balanced between buyers and sellers. Members of the Orlando Regional REALTOR® Association in June sold 43.12 percent more homes than in June of last year, contributing to the area’s year-to-date sales increase of 43.76 percent. There were 2,131 closings in June, which brings the year’s total to 9,993, while a total of 6,951 homes had changed by this time last year. Of those June sales, 45.99 percent of the homes were either bank-owned (832) or distressed (148). The remaining (1,151) “normal” sales made up 54.01 percent.